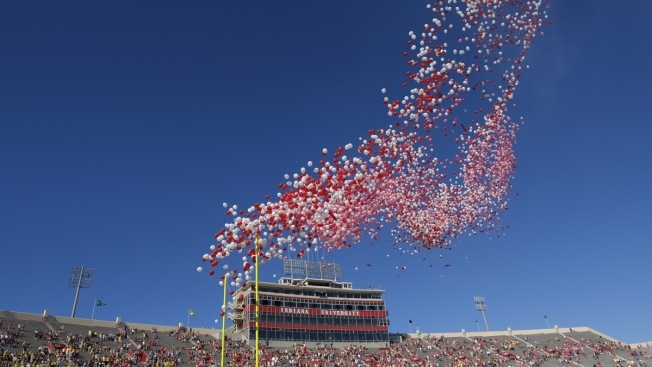 In this Oct. 14, 2017, file photo, balloons are released in Memorial Stadium before an NCAA college football game between Indiana and Michigan in Bloomington, Ind. The celebration of releasing balloons into the air has long bothered environmentalists, who say the pieces that fall back to earth can be deadly to seabirds and turtles that eat them. So as companies vow to banish plastic straws, there are signs balloons are among the products getting more scrutiny. Now that plastic straws may be headed for extinction, could Americans' love of balloons be deflated? The joyous celebration of releasing balloons into the air has long bothered environmentalists, who say the pieces that fall back to earth can be deadly to seabirds and turtles that eat them. So as companies vow to banish plastic straws, there are signs balloons will be among the products to get more scrutiny, even though they're a very small part of environmental pollution. This year, college football powerhouse Clemson University is ending its tradition of releasing 10,000 balloons into the air before games, a move that's part of its sustainability efforts. In Virginia, a campaign that urges alternatives to balloon releases at weddings is expanding. And a town in Rhode Island outright banned the sale of all balloons earlier this year, citing the harm to marine life. "There are all kinds of alternatives to balloons, a lot of ways to express yourself," says Kenneth Lacoste, first warden of New Shoreham, Rhode Island, who cites posters, piñatas and decorated paper. 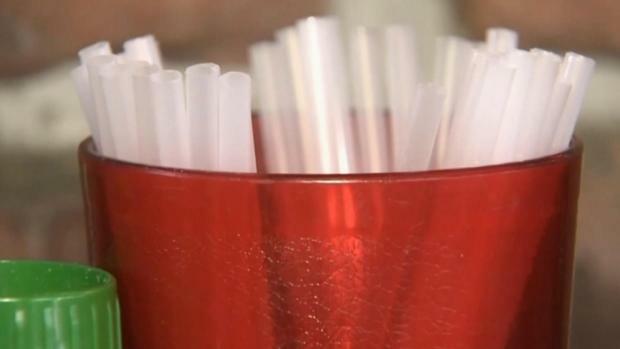 Following efforts to limit plastic bags, the push by environmentalists against straws has gained traction in recent months, partly because they're seen as unnecessary for most. Companies including Starbucks and Disney are promising to phase out plastic straws, which can be difficult to recycle because of their size and often end up as trash in the ocean. A handful of U.S. cities recently passed or are considering bans. And the push may bring attention to other items people may not have considered — like festive balloons. "The issue of straws has really broadened the marine debris issue," says Emma Tonge of the National Oceanic and Atmospheric Administration. People might not realize balloons are a danger, she says, because of their "light and whimsical" image. Balloons are not among the top 10 kinds of debris found in coastal cleanups, but Tongue says they're common and especially hazardous to marine animals, which can also get entangled in balloon strings. Chelsea Rochman, an assistant professor of ecology at the University of Toronto, says people should think systemically about waste and pollution, but that efforts to bring attention to specific products shouldn't be dismissed as too minor. "If we said that about everything, we wouldn't get anything done," she says. Already, a few states restrict balloon releases to some extent, according to the Balloon Council, which represents the industry and advocates for the responsible handling of its products to "uphold the integrity of the professional balloon community." That means never releasing them into the air, and ensuring the strings have a weight tied to them so the balloons don't accidentally float away. China has implemented a new recycling policy called National Sword, halting all imports of recycled materials. The U.S. was sending about 40 percent of its recycled goods to china before the policy's implementation which means there is a lot of recycled material with nowhere to go. 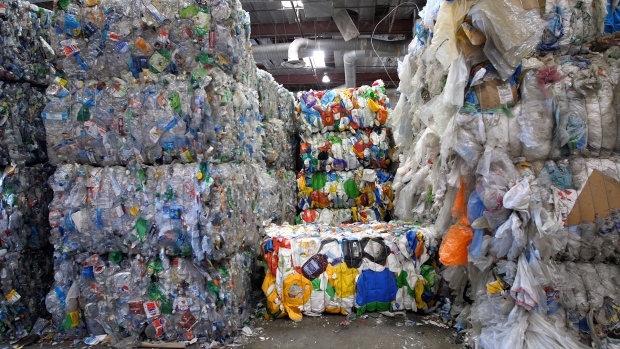 See how the policy is affecting local recycling centers. Lorna O'Hara, executive director of the Balloon Council, doesn't dispute that marine creatures might mistake balloons for jellyfish and eat them. But she says that doesn't mean balloons are necessarily causing their deaths. Clean Virginia Waterways still thinks balloons can be harmful. Included in its report last year: A photo of a soaring bird with a deflated balloon trailing behind it. The report addresses the "rising concern" of balloons, which also often use helium, a non-renewable resource. It notes the difficulty of changing a social norm and that even typing "congrats" in a Facebook post results in an animation of balloons. It even claims the media play a role and that some groups conduct balloon releases "just so reporters will cover the event." "We don't want to say don't use them at all. We're saying just don't release them," says Laura McKay of the Virginia Coastal Zone Management Program. Some states such as California ban balloon releases for other reasons. Pacific Gas & Electric, which serves northern and central California, says metallic balloons caused 203 power outages in the first five months of this year, up 22 percent from a year ago. Lacoste thinks other towns, particularly those along the coasts, will also ban balloons as people become more aware of environmental issues. He notes that plastic bags were once seen as harmless, but many places now ban them. 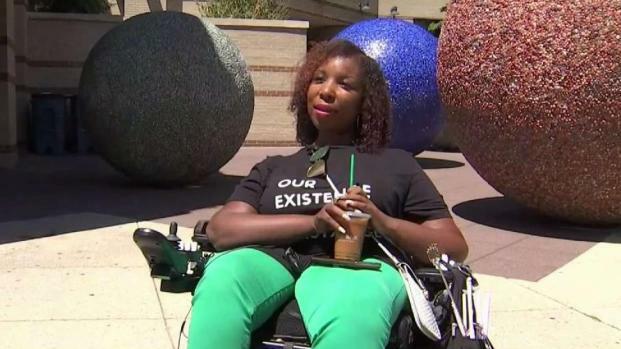 Since companies like Marriott and Starbucks have announced plans to ban plastic straws, many people with disabilities have spoken out against the movement. News4's Aimee Cho spoke with one woman with muscular dystrophy who said she depends on straws to drink.